Pain under your right breast may a symptom of a severe health condition. Because there are some important organs below your right breast including gallbladder, right kidney, part of the lung and liver. Some people worry that this pain is a symptom of heart disease, but the heart is located in the left side of your chest, and the pain below the right breast is often not related to the heart attack. In most cases, sharp pain under your right breast could be connected with injury to a rib or the inflammation of the muscles, bones, or cartilage in the chest. But many other factors such as heartburn, hiatal hernia, excessive gas, hormonal imbalance, inflamed pleura, stress can also cause the discomfort in your lower chest area. If the pain aggravate when you sneeze, cough or take deep breaths,this could be a sign of rib injuries, costochondritis or pleurisy. If the pain is sharp that can also radiate to your back, this could be a sign of kidney stones. If the pain is accompanied by other symptoms such as fever, nausea, heartburn and vomiting, this may be a sign of hiatal hernia pancreatitis or gallbladder disease. Here are 14 common causes of pain or discomfort under your right breast. If you still can not sure what causes your pain after reading this post, you’d better consult your doctor. Anxiety is a reaction to something that scares you, which can lead to avoidance behavior or strong emotions. When under psychological or emotional stress, you could experience mild or sharp pain under right breast. Stress may also affects the body’s digestive system, heart rate, and blood pressure and causes nerves and muscles to tense up. To alleviate stress or anxiety-related pain, you can try some breathing exercises, yoga, and essential oils for relief. Some workouts such as long joggingcan also help relax. Most people expel gas at least ten times a day. However, trapped gas in the intestines can cause pain when you are not able to pass it. The pain may be so intense or constant that it can be mistaken for gallstones, heart disease or appendicitis. This pain does not only happens to one location. Its location changes with time to time. For instance, sometimes we may feel this pain in the chest. It is observed that pain because of gas does not remain for a long time. You can also faces blood in the stool, abdominal pain or difficulty in swallowing. Due to some certain changes, excessive gas and bloating get better. You can limit high-fat and fiber foods.Call your doctor in case of severe or persistent gas pain accompanied by bloody stools, vomiting, and weight loss. Another possible cause of pain under right breast is heartburn. Heartburn is a common problem which can be found in every person. When you lie down right after eating a meal, the pain comes to you because of a full stomach. Burning sensation in your chest. Severe chest pain with an acidic taste in your mouth, regurgitation of food, or a burning in your throat. The pain can expand to your shoulders, neck, or arms. Sometimes you may get a cold sweat or shortness of breath along with other symptoms. The pain gets worse when bending over or lying down. Most people manage the symptoms of heartburn with over-the-counter medications and lifestyle changes. However, recurring heartburn that interferes with your daily tasks may be a symptom of another health condition. See your doctor for proper diagnosis and prompt treatment, especially if you have persistent nausea, difficulty swallowing, and weight loss. A viral infection that causes painful rashes, shingles usually appear as a stripe or stripes of blisters that wrap around the right or left side of your torso. This condition is caused by the same virus that causes chickenpox. Once you have had chickenpox, the virus remains dormant in your nerve tissue and may get triggered as shingles. You may have to burn, throbbing or stabbing pain. 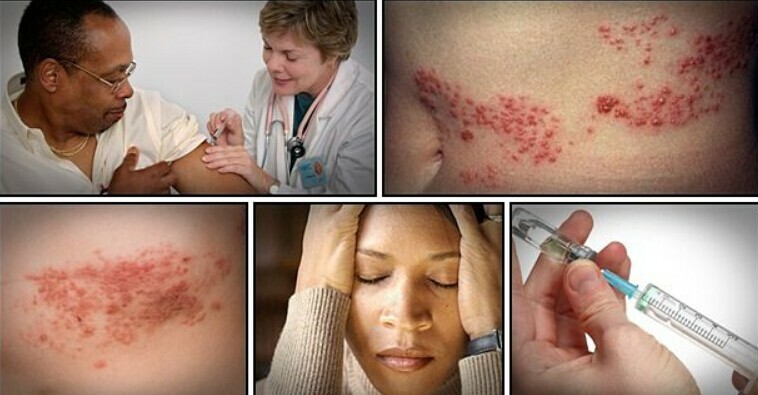 Often, the rash also appears within days to weeks. These rashes can be constant or come and go with some pain. Sometimes, you can have tingling, itching, or prickling skin for several days. After several days, a group of fluid-filled blisters on a red, inflamed base of skin. The blisters typically crust over in a week. You may have fever, fatigue, or a headache due to rash. You may also experience a headache, fever, sensitivity to touch, and fatigue. If you suspect that you have shingles, see your doctor immediately. The virus can pass to anyone who is not yet immune to chickenpox. Your rib cage protects the organs in your chest. Any trauma to your rib cages, such as a crush injury from an accident or a fracture from a direct blow can cause pain around the affected area. It can also lead to tenderness and bruise. The main symptom of the broken rib is the sharp chest pain. When you touch the area where your rib is broken. It will cause you a severe pain.If you shake your body, the pain can get severe.The pain under right breast may feel worse when taking deep breaths, sneezing or coughing. For such injuries, it is best to seek medical attention immediately to prevent further problems that may affect your other organs. 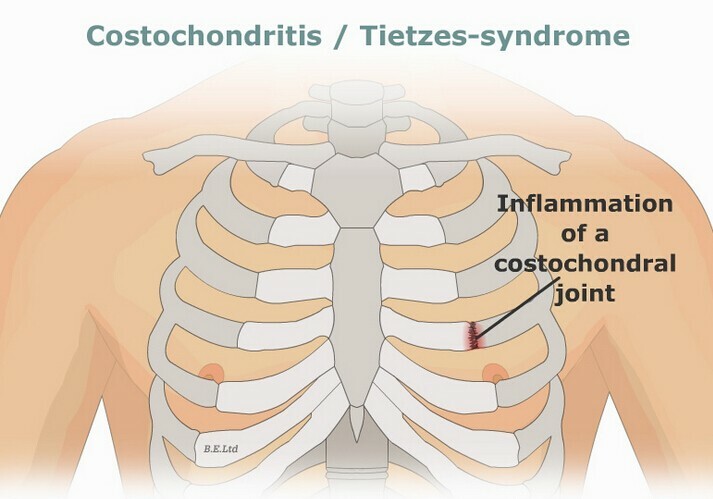 Costochondritis, also known as chest wall pain is an inflammation of the cartilage near the rib cage and breastbone. Some of the usual causes are a repetitive strain to the breastbone while there are also some who develop this because they have a flu virus or they are always coughing. If the chest area will be strained, there is a bigger chance of acquiring this condition. You will know if you are suffering from this disease if the pain increases while you are coughing or sneezing. Seek immediate medical assistance if you experience severe and persistent pain. The kidneys filter waste from your blood and create urine. When minerals and salts in your urine stick together, they form small or big kidney stones. There are a lot of stones that will pass through the urinary tract with ease because they are small, but there are also some that may be hard to pass because they have grown too big. They are usually unnoticed unless they cause pain and blockage. If recognized early, stones do not cause permanent damage. You will need to drink plenty of water to flush out kidney stones from your urinary system. This can be removed through surgery or by taking medications that will make the stones stuck in the kidney to become smaller. See your doctor immediately if the pain is severe, accompanied by nausea or vomiting, fever, difficulty passing urine or blood in urine. 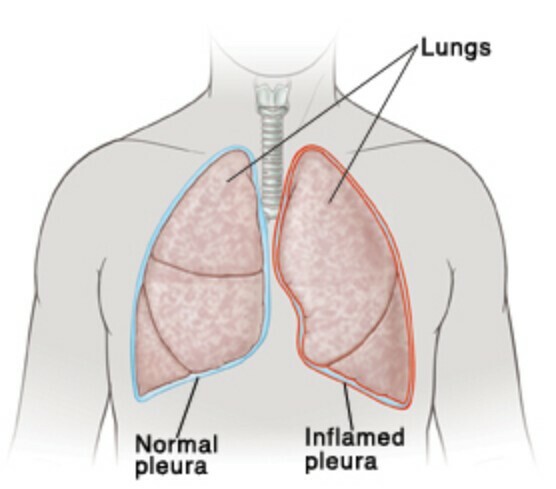 Pleurisy is an inflammation of the pleura – a membrane lining that protects the lungs. This condition can be caused by a viral, bacterial or fungal infection, certain medication, an autoimmune disorder, rib fracture, or other diseases. The main reason why this condition is called pleurisy is that the lung and chest area is called “pleura.” Similar to Costochronditis, the pain brought about by this condition may be increased whenever there is any movement. For example, if you would try to breathe deeply and this causes pain, you may have this condition. If you experience intense or unexplained chest pain while breathing, call your doctor immediately. This could be a sign of a problem with your lungs, pleura, heart or other illness that require prompt medical attention. Pancreas, located behind your stomach at the left side of your body, plays a vital role in digestion and endocrine function. It produces insulin, hormones and other important enzymes that help the body break down foods. There are two forms of pancreatitis.Acute pancreatitis occurs suddenly and lasts for several days. The main cause of acute pancreatitis is gallstones or excessive alcohol consumption.Chronic pancreatitis often occurs after acute pancreatitis and can last for several years. There are some symptoms of pleurisy which are mainly interlinked with chest problems. This can be a pain in the chest which caused during breathing in, shortness of breath, and local tenderness. This pain does not come alone but also brings cavity either in the front or back of the cavity. Due to this cavity, patients suffer back and shoulder pain. The symptoms of chronic pancreatitis may include smelly stools and unintended weight loss. If you have persistent abdominal pain, nausea, and vomiting. See your doctor immediately for clear diagnosis. The gallbladder is a small organ responsible for storing bile produced in the liver while it is not yet used for digesting fatty foods. When infection occurs, it causes inflammation and may result in pain under right breast. Severe pain lasts for many hours and mainly found in the middle or right side of the upper abdomen. Pain radiates to back or right shoulder. Sharp pain or dull cramps. If left untreated, this condition can lead to the serious or life-threatening condition. Visit your doctor for proper diagnosis and immediate treatment. The inflammation of your gallbladder is also known as cholecystitis. This is also a main cause of sharp pain under the right breast. A gallbladder is a important organ which is located below your liver. When the gallbladder is inflamed,you may experience a sharp pain which often radiates to your abdomen,shoulder and even back. Other symptoms of cholecystitis include nausea, fever or vomiting.If you suffer from these symptoms and suspect that it is caused by cholecystitis,see your doctor immediately. Because this is potentially life-threatening disease if left untreated. 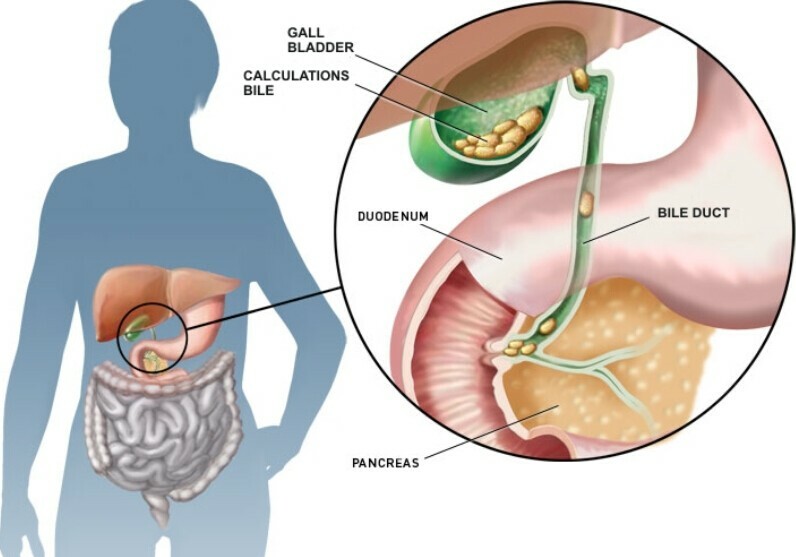 The gallbladder is a tiny organ, located on the right side of our belly, just below the liver. It is a bag where the bile is stored. Gallbladder stones occur when the bile, which contains cholesterol, pigments, and salts, crystalizes and create gallstones. There are times when some stones would start to appear in the gallbladder mainly because of your diet.Generally, Gallbladder diseases are more likely to affect women who suffer from weight problems, gastrointestinal dysfunction or high cholesterol levels. Gallbladder pain can start suddenly. You may feel an intense pain that can last up to 15 minutes, then disappears and reappears. The pain can extend into the right side of your arm and back.This situation can last up to 15 hours. Breathing can make the pain worse. See your doctor if you have any signs or symptoms of gallstones, especially when accompanied by high fever and yellowing of the skin. A Hiatal hernia can also cause pain under right breast. This is known as the protrusion of a part of the stomach especially when part of the esophagus is larger than its normal size. For proper diagnosis, it is best to visit your doctor. 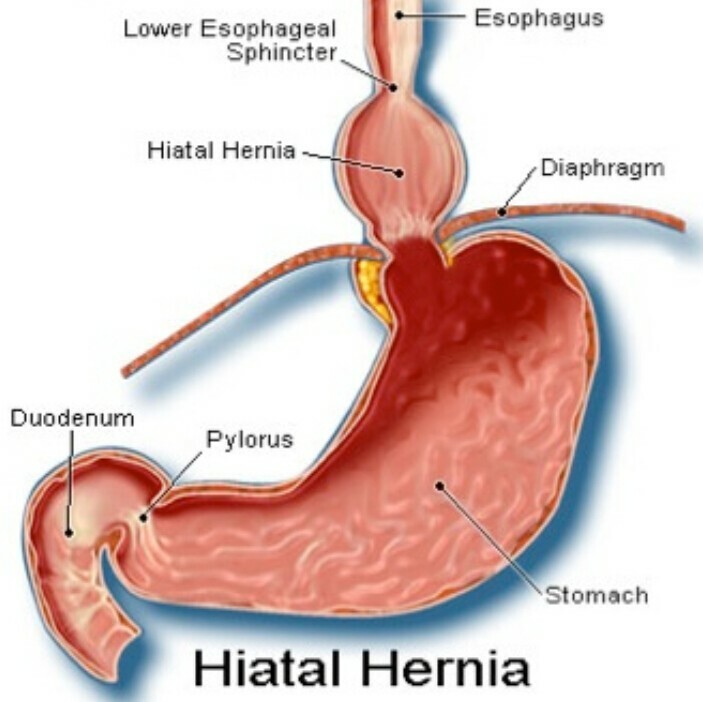 A hiatal hernia can be diagnosed with an X-ray that uses a barium swallow or with endoscopy. Another possible cause of pain under right breast is mastitis, which is an infection of the breast tissue that causes swelling, pain, redness, and warmth. This condition commonly affects breastfeeding women, but may also occur in women who are not nursing. Mastitis is a painful process. In it, your breast tissues expand due to inflammation. It is most commonly exists in infants. So it develops with the passage of time. The symptoms of such inflamed area are identified by redness, swelling, unusual warmness, and hard to touch skin. These symptoms disappear sometimes and effect only one breast.It is often caused severe illness in females at the initial stage. During this illness, you may feel flu. This flu can be of severe in its nature when you are caring for a newborn baby. As soon as you recognize the symptoms of mastitis, contact your doctor for proper diagnosis and treatment. Pain under the breast when breathing is usually caused by a lung issue such as pleuritic,pneumonia, chest injury or pulled muscle in the chest wall. But it may be also caused by other condition such as lupus or Rheumatoid arthritis. If the sharp pain last for a long time,this could be caused by a blood clot. This is a life-threatening condition, you need immediate medical attention. Pregnancy is also a common cause of pain around the breast, because pregnancy can cause changes in hormones in women, which often leads to swelling and soreness of the breast. In the middle of pregnancy, the growth and position of the baby in the body can also press the ribs and diaphragm, causing the diaphragm move upwards.This can also cause pain in the lower side of the breast. In addition, the growing baby will oppress the mother’s stomach, causing heartburn and acid reflux, which is a common cause of breast pain during pregnancy. Some pregnant women worry that the pain under the breast is related to breast cancer, but this is often rare. Unexplained pain under right breast That Comes and Goes can be rather alarming. This may be an indicator of breast cancer, but there are also some other causes of pain in the region. In some cases, a breast cancer spreads to lymph nodes around the collarbone or under the arm and result in swelling or lump. Blood in the urine or stool and unexplained weight loss. There is some other breast condition causing sudden pain like mastitis. This pain is not linked to the menstrual cycle. When you have severe pain and not because of the menstrual cycle, you should consult with a doctor. Maybe it could be a symptom of cancer or a benign condition which need to be treated as soon as possible. Medications – It is possible that depending on the condition that people are experiencing, the doctor is going to recommend some medications that will help cure the condition. Do remember that the medications will differ depending on the severity of the condition. Surgery – There are instances when people would have to undergo surgical procedures to help cure their current condition. Wearing a well-fitting bra – This is something that a lot of women usually do not pay enough attention to. Some people just assume their bra size without realizing that their breasts become irritated in the process. There are times when there is pain under the breast because the bras being worn by women are usually too tight. Using an ice pack – There are times when using an ice pack can help diminish the pain that women are feeling under their breasts. There are some serious symptoms you must not ignore. Experiencing these symptoms may mean that a person requires immediate medical attention. Pains under you breast persist for a long time. The pain spreads to your other parts of the chest. Sharp and burning pain that feels like something is squeezing your chest. Extremely low or extremely high blood pressure. If you have been working out or performing extensive physical activities, pain under right breast may resolve with enough rest and home remedies. However, if you had a severe respiratory problem or you have been involved in a physical trauma, it is best to visit your doctor immediately. Depending on the assessment, tests may include urine examination, blood tests, and imaging exams like X-ray, MRI, ultrasound or CT scan.